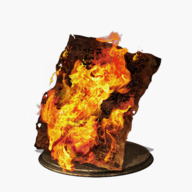 Pyromancies are on of the three available Spell types in Dark Souls III, the other ones being Sorceries and Miracles. Casting pyromancies requires a Pyromancy Flame, as well as sufficient Intelligence and Faith. Most pyromancies can be learned from the spell trainers Cornyx of the Great Swamp and Karla. Creates a acid cloud at the targeted location, which corrodes weapons and armor. Can be bought from Cornyx of the Great Swamp for 6,000 souls after giving him the Carthus Pyromancy Tome. Hurls a black fireball, dealing Dark damage. Can be bought from Karla for 10,000 souls after giving her the Grave Warden Pyromancy Tome. 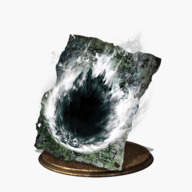 Casts a large, black fire burst, dealing Dark damage. Releases undulating black flames that trace the ground, dealing Dark damage. Transposed from the Soul of High Lord Wolnir. 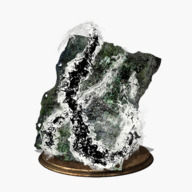 Shoots a boulder at the targeted location, dealing Physical damage. Transposed from the Soul of a Stray Demon. Hurls an exploding fireball, dealing Fire damage. 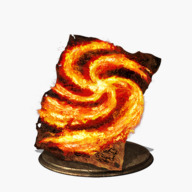 Can be bought from Cornyx of the Great Swamp for 5,000 souls after giving him the Great Swamp Pyromancy Tome. Increases attack damage with consecutive attacks. 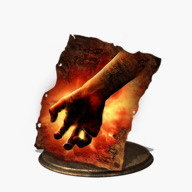 Can be bought from Cornyx of the Great Swamp for 8,000 souls after giving him the Carthus Pyromancy Tome. 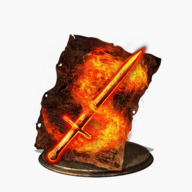 Adds Fire damage to the right-hand weapon for 90 seconds. 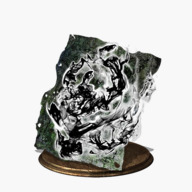 Can be bought from Cornyx of the Great Swamp for 10,000 souls after giving him the Carthus Pyromancy Tome. Hurls a large fireball at the target, dealing Fire damage. Transposed from the Soul of the Old Demon King. Erects multiple fire pillars in vicinity, dealing Fire damage. 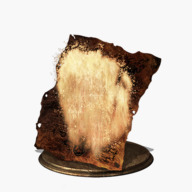 Can be bought fromCornyx of the Great Swamp for 12,000 souls after giving him the Izalith Pyromancy Tome. Hurls a fireball at the target, dealing fire damage. Can be bought from Cornyx of the Great Swamp for 3,000 souls after giving the Great Swamp Pyromancy Tome. Emits a constant stream of fire, dealing Fire damage. Can be bought from Cornyx of the Great Swamp for 1,000 souls. Sweeps foes with a fire whip, dealing Fire damage. 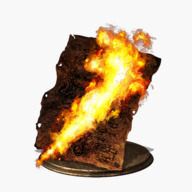 Can be bought from Karla for 10,000 souls after giving her the Quelana Pyromancy Tome. 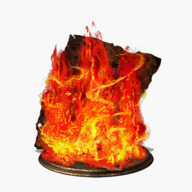 Hurls a fireball towards the target, dealing Fire damage. Starting spell for the Pyromancer; Can be purchased from Cornyx of the Great Swamp for 1,000 souls. Erects multiple flame pillars in vicinity, dealing Fire damage. 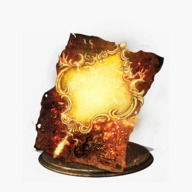 Can be bought from Karla for 15,000 souls after giving her the Quelana Pyromancy Tome. 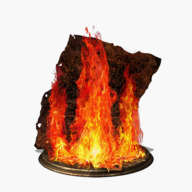 Sweep foes with a fire fan, dealing Fire damage. Can be cast repeatedly in quick succession. Dropped from Desert Pyromancer Zoey in the Dreg Heap. Increases Fire damage absorption by 30, for 30 seconds. Can be bought from Cornyx of the Great Swamp for 1,500 souls. Summons a fire-spitting chaos orb. Dropped from Livid Pyromancer Dunnel in the Painted World of Ariandel. 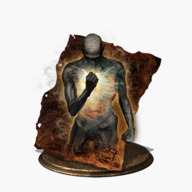 Can be bought from Cornyx of the Great Swamp for 10,000 souls after giving him the Izalith Pyromancy Tome. 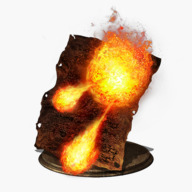 Casts a large, short-ranged fire burst, dealing Fire. Can be bought for Cornyx of the Great Swamp for 3,000 souls. Increases all resistances by 45, but reduces Lightning damage absorption and movement speed. 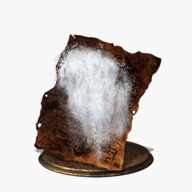 Found in Farron Keep, outside of the Farron Keep bonfire room, to the right. Creates a Poison mist cloud at the targeted location, lasting for 5 seconds. Can be bought from Cornyx of the Great Swamp for 2,000 souls after giving him the Great Swamp Pyromancy Tome. Increases the attack by X% and stamina regeneration by +30, but drains HP gradually. Found in the Grand Archives, behind a bookcase (movable via a nearby lever) in the pitch black section of the library. Creates a delayed explosion at the targeted location, dealing Fire damage. 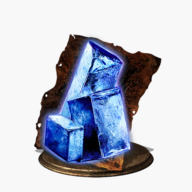 Found in Irithyll Dungeon, at the bottom of the Giant Slave's cell. Increases all resistances by 80, for 60 seconds. 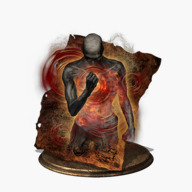 Converts a regular enemy into an ally for 30 seconds. 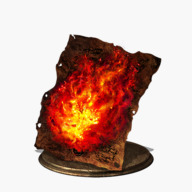 Can be bought from Karla for 7,000 souls after giving her the Quelana Pyromancy Tome. 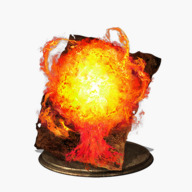 Grabs and places a flame within an enemy, which promptly explodes dealing Fire damage. 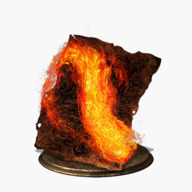 Found in the ruins below the Smouldering Lake, beyond the area with Knight Slayer Tsorig. 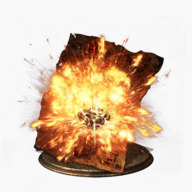 Hurls a chaos fireball that grows in size after impact, and detonates shortly after, dealing additional Fire damage. Transposed from the Soul of the Demon Prince. Creates a Toxic cloud at the targeted location. Found in the ruins below the Smouldering Lake, inside a lava pool. Creates a healing aura at the targeted location. Reward for offering 30 Vertebra Shackles to the Mound Makers covenant.